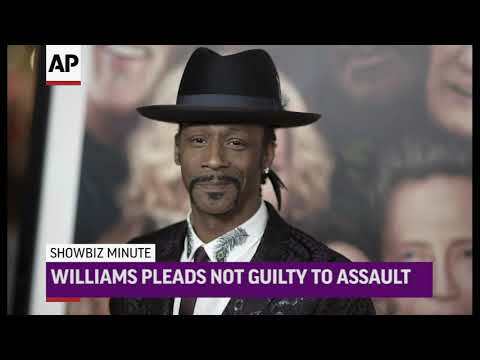 PORTLAND, Ore. (AP) — Comedian Katt Williams has pleaded not guilty in connection with an alleged assault on a hired driver at Portland International Airport. The Multnomah County District Attorney's Office says Williams was charged and pleaded not guilty to fourth-degree assault on Monday. He had come to Portland to perform in Nick Cannon's "Wild 'N Out" comedy improv show Friday night. Comedy icon Katt Williams will be performing live at James Brown Arena on Friday, March 9, 2018. Tickets go on sale Friday, Nov. 10, at noon and can be purchased online at georgialinatix.com, by phone at 877-428-4849 and The SRP Box Office at James Brown Arena. This past year, Williams has immersed himself in multiple upcoming projects. From several big-name films to his latest standup special taping, the comedian remains at the top of his game. Police seek suspects involved in violent weekend clashes between supporters and opponents of President Donald Trump. LOS ANGELES (AP) — Comedian Katt Williams was sentenced to three years of probation after pleading no contest to stealing a celebrity photographer's camera. Los Angeles prosecutors said Monday that Williams will also need to attend anger management classes. In September 2014, a celebrity photographer accused Williams and former rap music mogul Marion "Suge" Knight of stealing her camera. The photographer said she suffered a concussion after an associate of the men attacked her. GAINESVILLE, Ga. (AP) — Katt Williams has pleaded no contest to assault and battery charges stemming from an incident with a bodyguard in north Georgia. The comedian, whose real name is Micah Sierra Williams, was charged in March after authorities said he threatened the man while an acquaintance beat him with a baseball bat. Defense attorney Drew Findling said Williams on Thursday agreed to a plea deal. The 25th annual 5K TXU Energy race supports Neighborhood Centers, a community development organization. Satisfy those Black Friday shopping urges with fair trade, hand-made and vintage items that might keep the soul happy. COLUMBIA — Two big names are planning to perform in the Colonial Life Arena, 801 Lincoln St., in Columbia, next year. For more information, visit www.coloniallifearena.com or 800-745-3000. The comedian Katt Williams is coming on Feb. 12 at 7 p.m.
Tickets will begin at $52.50 and will be sold starting noon Friday. ATLANTA (AP) — Katt Williams was arrested on an outstanding warrant in Georgia after he turned himself in on a separate warrant, authorities said Friday. Williams — whose real name is Micah Sierra Williams — was booked into the Fulton County Jail on Thursday on a warrant charging him with second-degree criminal damage to property, jail records show.